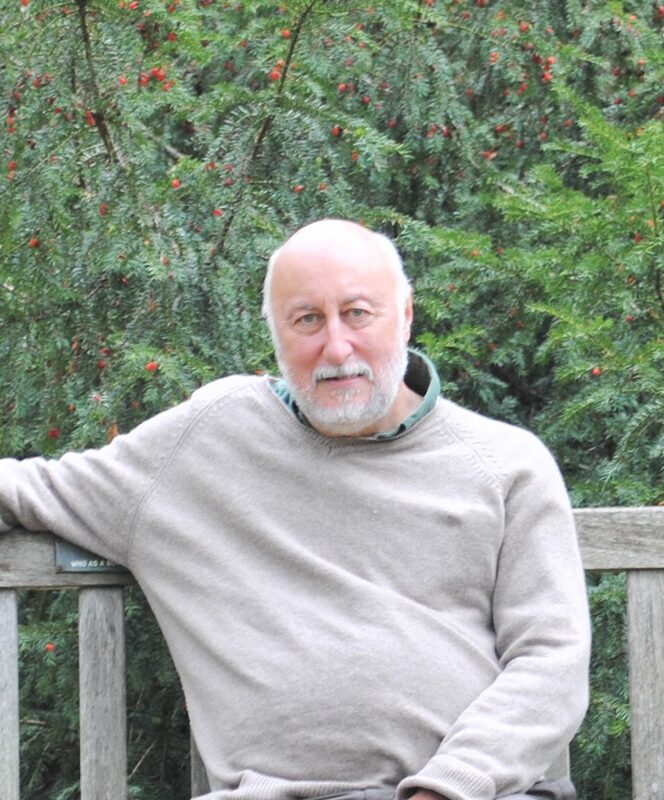 John Wells is a local naturalist and friend of Ealing Transition. He leads regular walks around the borough to help people gain a deeper appreciation of nature. Please note that we are all responsible for our own health and safety during any of these events. May I request that should you decide to join me on any of these events then please could you kindly email me on johnwells3@hotmail.co.uk or text/telephone 07583797219 confirming your name, which event, where joining us, how many people plus your email address or telephone number. The purpose of this arrangement is to give me an idea as to who to expect and how many people will be in our group. Also, this arrangement will tell me whom I need to contact in the case of having to postpone or cancel an event owing to increment weather or other unforeseen circumstances. Venue: Visit to RHS Wisley. Meet: Kingston Cromwell Road Bus Station for 09.45am bus 715. Date: Thursday, 11th, April, 2019. Note: Bus is not a TFL service and normal fares will apply for non-Freedom Pass holders. Also, normal admission prices will apply for non-RHS members. Café and facilities at venue. Venue: Walk from Kew to Kingston via River Thames tow path. Meet: Outside Kew Bridge Station 11am. Date: Wednesday, 24th, April, 2019. Note: Café at Kew Bridge Station and may stop for a while in Richmond but packed lunch advisable. Also please wear stout footwear! Venue: A tour of the trees in Walpole Park. Meet: Outside The Rickyard café at 10am. Date: Saturday, 27th, April, 2019. Note: Duration of walkabout about 2 hours. On behalf of Ealing Council. Venue: A visit to Haslemere Museum then Swan Barn Walkabout (1 mile). Meet: Outside Haslemere Station at 11am (aim for 10.00am train from Waterloo). Date: Wednesday, 1st, May, 2019. Note: Café facilities in Haslemere. Toilets in museum. Event jointly organised with Dr. June Chatfield and myself. Venue: Tree tour of Harrow Recreation Ground. Meet: Hindes Road entrance at 10.30am. Date: Sunday, 5th, May, 2019. Note: On behalf of The Friends of Harrow Recreation Ground. Tour will be about 2 hours. Venue: Lardon Chase SSSI and area. Meet: Outside Ealing Broadway Station 09.15am for 09.35am train to Goring & Streatley. Date: Wednesday, 8th, May, 2019. Note: Stout footwear advised. Some hills involved plus bring lunch. Café’s and facilities in Goring. Venue: A tree tour of Pinner Village Gardens. Meet: At the Rayners Lane Entrance 11am. Date: Sunday, 12th, May, 2019. Note: On behalf of The Friends of Pinner Village Gardens. Duration of tour about 2 hours. Venue: Brent River Park Walkabout. Meet: Outside Boston Manor Station 11am. Date: Friday, 17th, May, 2019. Note: We will aim for lunch in The Fox pub. Wear stout footwear. Venue: Box Hill and area walkabout. Meet: Outside Box Hill & Westhumble Station at 11.20am (10.25 from Victoria, 10.32 Clapham Junction). Date: Tuesday, 4th, June, 2019. Note: Stout footwear advised. Café and facilities at Burford Bridge and top of Box Hill. Some hill walking involved. Venue: Hutchinsons Bank & Addington Hills. Meet: East Croydon Station 10.30am for tram to New Addington. Date: Thursday, 13th, June, 2019. Note: Café facilities at East Croydon & New Addington but recommend bring lunch. Some hill walking involved. Venue: Tree tour in Gunnersbury Park. Meet: Outside the Museum at 10am. Date: Sunday, 16th, June, 2019. Note: Book a place on info@visitgunnersbury.org (event free). Venue: Northalla Fields and a visit to the historical church of St.Mary’s/Northolt. Meet: Outside Northolt Station 11am. Date: Wednesday, 26th, June. 2019. Note: Café facilities at Northalla. Event joint with Harrow Natural History Society. Venue: A nature walkabout on Chobham Common. Meet: Outside Sunningdale Station 11am. Date: Thursday, 4th, July, 2019. Note: Sturdy footwear recommended. Bring lunch and drink. Venue: Tree tour of Canon’s Park. Meet: Outside Canon’s Park Station 2pm. Date: Sunday, 7th, July, 2019. Note: Joint with The Friends of Canon’s Park. Meet: Outside Barnes Station 2pm. Date: Wednesday, 10th, July, 2019. Note: Joint with The Friends of Barnes Common. Venue: Trip to Salisbury for a visit to the Cathedral and Harnham Water Meadows. Meet: Outside Salisbury Station 11.30am (09.50 train from Waterloo). Date: Thursday, 25th, July, 2019. Note: Trip purposely arranged to meet up with our former much missed regular participant, Jane Fraser who now lives in this area. Venue: A summer visit to Rainham Marshes. Meet: Outside Purfleet Station 11am. Date: Tuesday, 6th, August. 2019. Note: Purfleet Station is one stop outside the Travelcard/Freedom Pass zone! Venue: A walk from Leigh-on-Sea to Benfleet via Two Tree Island. Meet: Outside Leigh-on-Sea Station at 11am. Date: Thursday, 15th, August, 2019. Note: Sturdy footwear, water, and a packed lunch advisable. Venue: Ranmore Common and area for butterflies/wildflowers. Meet: Outside Richmond Station 9.30am (buy a day return to Dorking). Date: Wednesday, 21st, August, 2019. Note: Stout footwear advised. Some hill walking involved. Bring water/lunch. Venue: Trip to Fredville Park/Kent to view the Majesty Oak (featured in Mark Frith’s drawings recently displayed in Kew) amongst other ancient trees there. Meet: London/Victoria Station 10am (current timetable says the 10.10am will take us to nearby Snowdown Station). Date: Thursday, 12th, September, 2019. Venue: A walkabout in Kensal Green Cemetery. Meet: Outside Kensal Green Station 2pm. Date: Tuesday, 17th, September, 2019. Venue: A day in Richmond Park. Meet: By Visitor Centre at Pembroke Lodge. Date: Thursday, 26th, September, 2019. Venue: Tour of the trees in Gunnersbury Park. Date: Sunday, 29th, September, 2019. Note: Book a place at info@visitgunnersbury.org (event free).